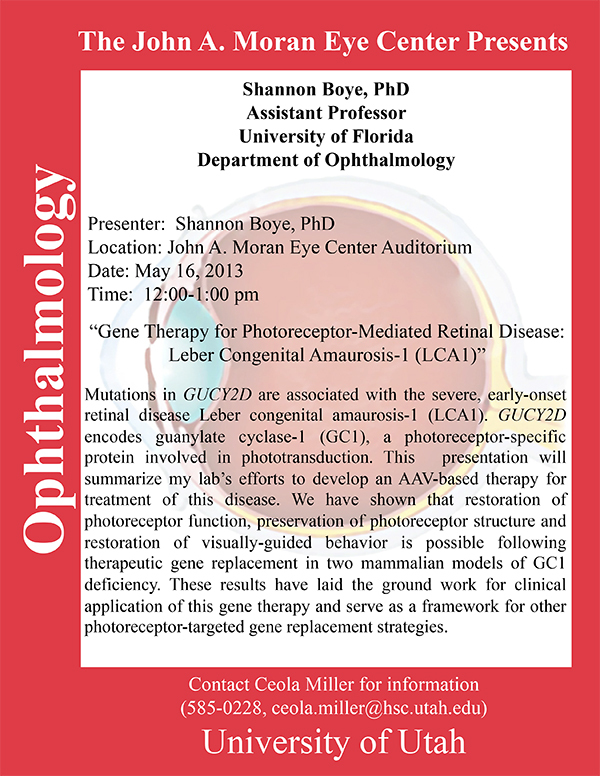 Shannon Boye, assistant professor, University of Florida Department of Ophthalmology will be delivering a seminar, Gene Therapy for Photoreceptor-Mediated Retinal Disease: Leber Congenital Amaurosis-1 (LCA1) on May 16th, 2013 at 12:00 Noon in the John A. Moran Eye Center Auditorium on the 1st floor. There has been quite a bit of discussion of connectomes in the last while with President Obama’s new BRAIN initiative. It is important to consider some of the requirements of obtaining a true synapse level wiring map in the brain as many are articulating from this initiative. While there are new technologies that will be required to undertake this initiative for mapping the entire brain, the NIH NEI has been funding an ongoing project to study retinal circuitry which guides the community in how to approach a true synapse level map of the nervous system. An example of this work in Current Opinion in Neurobiology titled Building Retinal Connectomes is a review that illustrates the importance of having a complete network graph of connectivities in the retina and by extension other neural systems. Complete network graphs are what will be required to understand how retinal systems (and any neural system) is constructed. Even though the retinal community understands how retinas are wired in broad strokes, the precise, fine details are critical and elucidating them requires a new level of complete annotation derived from advances in light and ultrastructural imaging, data management, navigation and validation. Authors are Robert E. Marc, Bryan W. Jones, J. Scott Lauritzen, Carl B. Watt and James R. Anderson. The VIG is designed as a resource for students and post-docs to present their work/research to their contemporaries and all interested parties who wish to attend and participate. 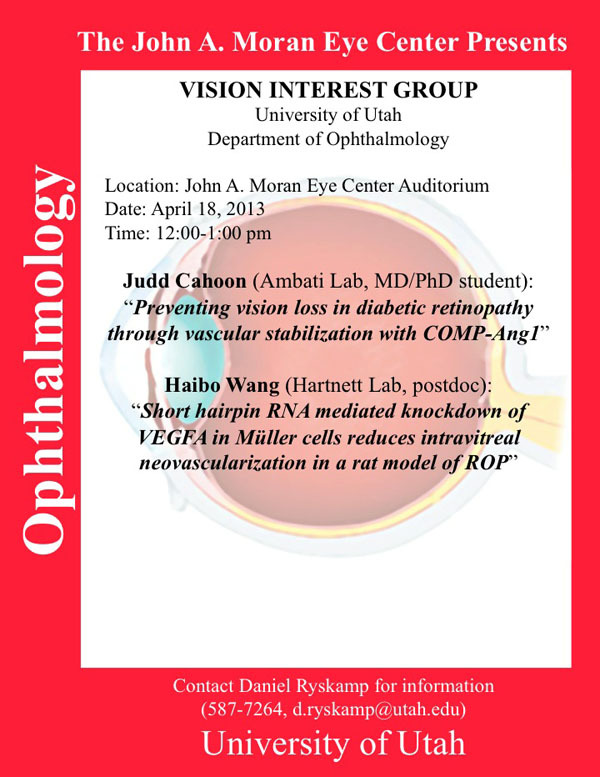 The April VIG at the John A. Moran Eye Center will be held on April 18th from 12:00pm to 1:00pm in the John A. Moran Eye Center auditorium on the 1st floor. 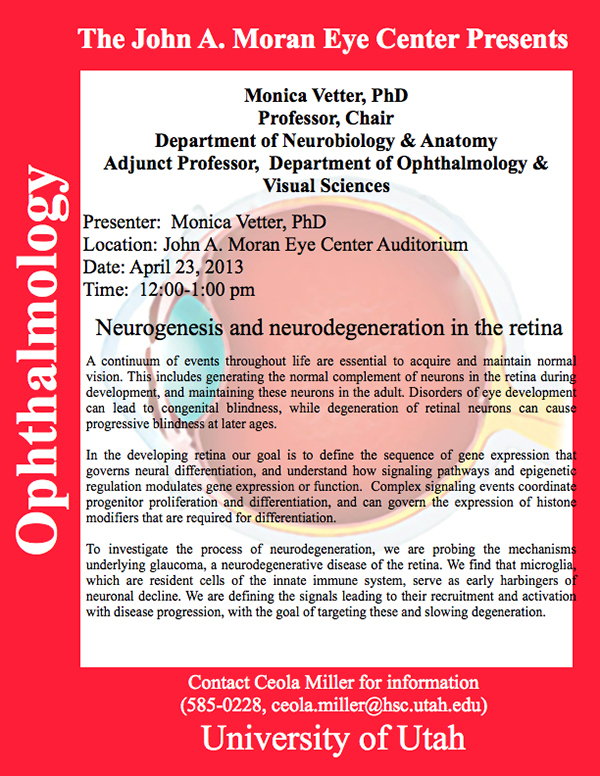 Monica Vetter, Professor of Neurobiology and Anatomy at the University of Utah will be delivering a seminar, Neurogenesis And Neurodegeneration In The Retina on April 23rd, 2013 at 12:00 Noon in the John A. Moran Eye Center Auditorium. A continuum of events throughout life are essential to acquire and maintain normal vision. This includes generating the normal complement of neurons in the retina during development, and maintaining these neurons in the adult. Disorders of eye development can lead to congenital blindness, while degeneration of retinal neurons can cause progressive blindness at later ages. In the developing retina our goal is to define the sequence of gene expression that governs neural differentiation, and understand how signaling pathways and epigenetic regulation modulates gene expression or function. Complex signaling events coordinate progenitor proliferation and differentiation, and can govern the expression of histone modifiers that are required for differentiation. To investigate the process of neurodegeneration, we are probing the mechanisms underlying glaucoma, a neurodegenerative disease of the retina. We find that microglia, which are resident cells of the innate immune system, serve as early harbingers of neuronal decline. We are defining the signals leading to their recruitment and activation with disease progression, with the goal of targeting these and slowing degeneration. 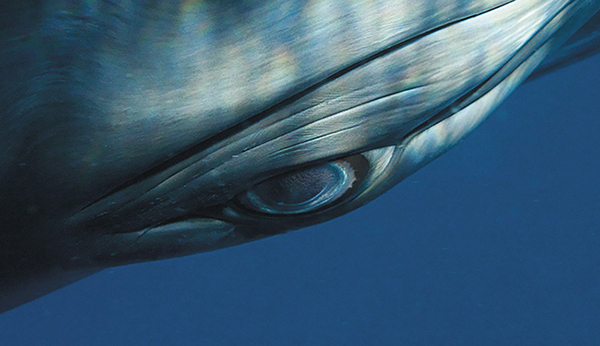 This beautiful article in The Atlantic by Alexis Madrigal talks about the eyes of cetaceans or whales and has some beautiful imagery from photographer Bryant Austin. More importantly, the article asks: “So, what does the world look like to a whale?” which is a fundamental question in comparative anatomy. The really unusual thing about this article is that vision science gets very little coverage in the popular press and this particular article discusses some of the science of vision including retinal science, after interviews with Leo Peichl who studies comparative anatomy of the mammalian retina at Max Planck. I’ve long admired Leo’s work and am pleased to see it covered in The Atlantic along with work by Sonke Johnsen, Michael Land and Dan-Eric Nilsson, particularly by one of my favorite writers, Alexis Madrigal. Image of Ella the whale’s eye from Bryant Austin. Just seeing an eye… and only the eye is enough to establish the first components of neural facial recognition. In this interesting paper by Elias B. Issa and James J. DiCarlo, the authors found using a combination of functional magnetic resonance imaging (fMRI) that the first stage in the primate visual/face processing circuitry is tuned to regions in images containing eyes. Even a single eye is enough to trigger recognition pathways. fMRI and electrophysiological recording work in facial processing has established that the facial processing network possesses six areas that are extensively interconnected and the anatomical analysis suggests a nested, hierarchical layout where signals progressing through the system become more established. This of course begs for a true connectomics analysis which will be difficult at the large scale, but tractable at the mesoscale. It turns out that this is an interesting computational problem as identification of isolated components of images that connate larger meaning is difficult. Discovering how neural systems unravel this will have substantial importance to diverse applications. 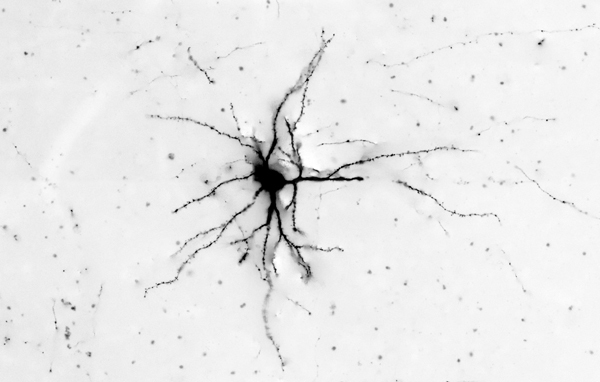 This is a fluorescently tagged primary visual cortex neuron from a light microscope capture of a brain slice preparation. These data were focus stacked revealing a tremendous amount of detail including the spines. 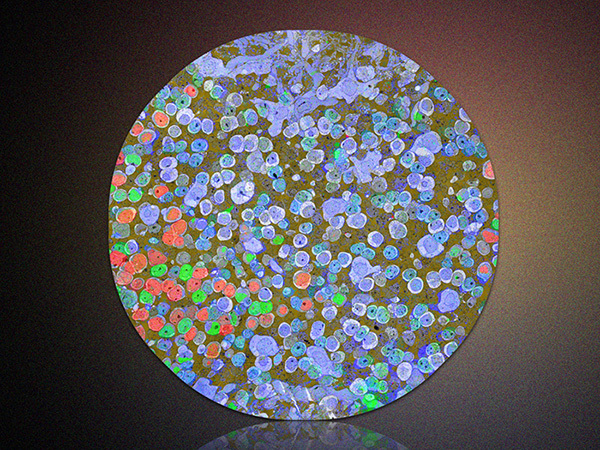 Focus stacking is common method in confocal microscopy, but many folks do not realize that you can also do it with traditional light microscopy of just about anything using ImageJ or Adobe Photoshop. See here for an example and discussion of focus stacking. 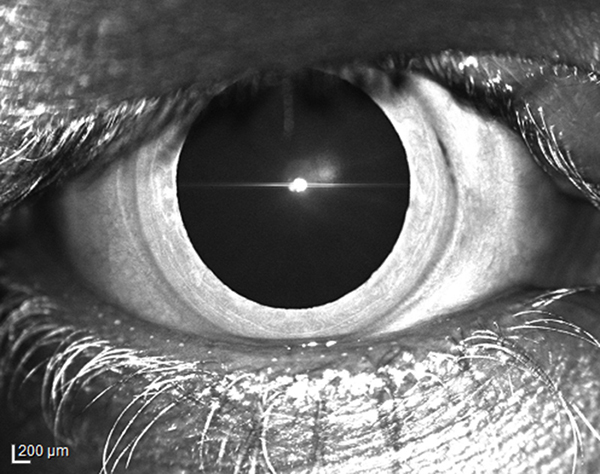 This image shows a slit lamp retro-illumination photograph through dilated pupil revealing silicone oil in anterior chamber following retinal re-attachment surgery. Silicone oil is a commonly used approach for retinal tamponade during surgery in the vitreous or for retinal reattachment surgery. While the silicone does assist with successful reattachment, often it causes optical complications resulting in followup surgeries to remove the silicone oil typically 2-8 months later. Gas bubbles with SF6 or C3F8 are also used, with the advantage that there is no myopic shift post operation and no followup surgery is required. This image was taken by Paula Morris of the Moran Eye Center using a Zeiss photo slitlamp and a Nikon D-1S camera at and 24x magnification. Notably, this image won Honorable mention in the Photo Slit Lamp Biomigraography Division in 2007.